Carina Seismic delivers high-accuracy, repeat seismic on demand without interrupting production or risking infrastructure. By utilising Silixa’s new family of engineered Constellation™ fibres, incorporated within standard cables, the Carina® Sensing System can achieve up to 20dB (100x) improvement in signal to noise ratio over the already class-leading iDAS™ system. Permanent Reservoir Monitoring (PRM) offers unparalleled insight into changes occurring within the reservoir, enabling rapid decisions to adjust well design and positioning, production and injection rates in order to maximise recovery. PRM relies on permanently installed sensors providing high quality, continuous or semi-continuous data in real-time. Of particular value is seismic data, which enables the imaging of hydrocarbon-bearing layers beneath the earth’s surface. However, accurate in-well seismic data from the most valuable assets is rarely acquired as a result of the cost and risk of well-intervention wireline or seabed surface seismic. 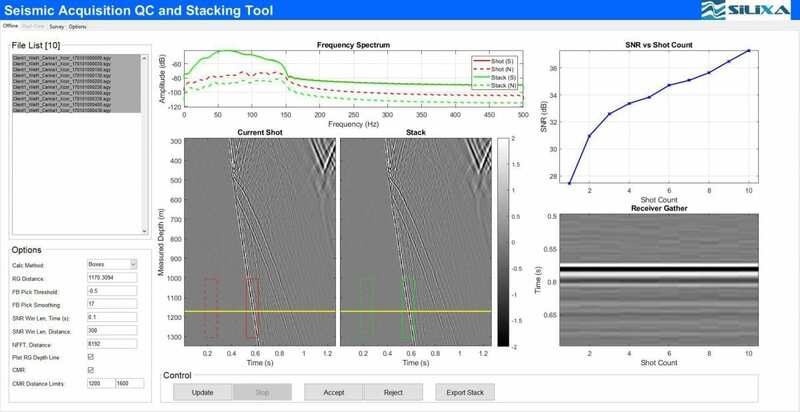 Carina Seismic enables borehole seismic acquisition with greatly reduced source effort achieving high quality, densely sampled seismic data with significantly reduced operating time and costs. 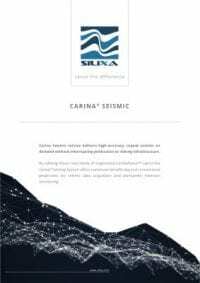 Download the Carina Seismic brochure. With the combination of up to 20dB improvement in SNR, fine spatial sampling and full wellbore coverage for every shot, Carina Seismic data offers unprecedented detail in every shot record. Recent field data shows a direct comparison between Carina Seismic and conventional wireline geophones. The test involved acquisition in a well with a Constellation enabled fibre-optic cable cemented behind the casing, with wireline geophones deployed in the same well. The seismic source was a 26,000lb vibroseis situated approx. 700m from the wellhead. This data, collected at the CO2CRC Otway test site, shows how Carina Seismic offers much greater detail in each shot record compared to geophones. Deep reflections are clearer, slower moving signals such as converted shear reflections are better resolved. Carina Seismic: stack of 5 sweeps, acquired with full wellbore coverage for every shot. Total acquisition time: ~4mins. Carina Seismic achieves full wellbore coverage for every shot, eliminating the need for repositioning a tool at different depths, enabling vertical seismic profiling within minutes instead of hours. With permanently installed fibres, the receivers are available at all times with no further deployment costs. Repeat surveys can be acquired on-demand at a fraction of the cost, enabling more frequent surveys giving greater insight into changes in the reservoir. Silixa’s new suite of advanced software tools provides real-time field deliverables. Acquisition QC plots are generated at the wellsite to ensure high quality, accurate data is collected. SEGY files, fully populated with accurate source and receiver headers, are generated in real-time. Silixa has worked closely with some of the world’s largest operators to implement IT solutions that enable transfer of data to processing centres around the world. With fast-track processing flows, images can be available a few hours after acquisition for accelerated decision making.